From the very beginning of the movie, Quaid (the protagonist, played by Arnold Schwarzenegger) understands that things are not quite right in his life. His restlessness comes from the disproportion between his character, founded on a lifetime of activity as a secret agent, and the prosaic life he now finds himself in. 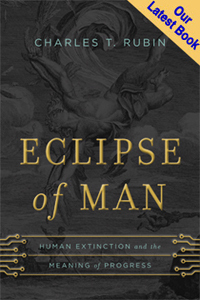 He is drawn back to Mars, where revolution and political strife present opportunities for the kinds of things that men of his character desire most: victory, glory, and honor. The second meaning of Kuato’s teaching concerns not the way our actions subconsciously shape our character, but how our capacity to choose actions, especially our capacity to choose just actions, defines who we are at an even deeper level. 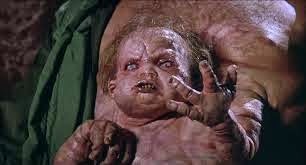 Near the end of the movie, after we have heard Kuato’s teaching, we learn that Hauser, Quaid’s “original self,” was an unrepentant agent of the oppressive Martian regime, and hence an unjust man. Quaid, however, chooses to side with the just cause of the revolutionaries. Though he retains some degree of identity with his former self — he continues to be a spirited, courageous, and skillful man — he has the ability to redefine himself in light of an impartial evaluation of the revolutionaries’ cause against the Martian regime, an evaluation that is guided by man’s natural partiality toward the just over the unjust. The movie’s insightful treatment of the meaning and form of human character comes not, however, from a “realistic” or plausible understanding of the kinds of technologies that might exist in the future. It seems quite unlikely that we could ever have technologies that specifically target and precisely manipulate what psychologists would call “declarative memory.” In fact, the idea of reprogramming declarative memory in an extensive and precise way seems far less plausible than manipulating a person’s attitudes, dispositions, and habits — indeed, mood-altering drugs are already available. Professor Fukuyama also raised the subject of contemporary memory-altering drugs. (This was a topic explored by the President’s Council on Bioethics in its report Beyond Therapy, published in 2003 when Fukuyama was a member of the Council.) These drugs, as Professor Fukuyama described them, manipulate the emotional significance of traumatic memories rather than their representational or declarative content. While Quaid retained some of the emotional characteristics of his former self despite the complete transformation of the representational content of his memory, we seem poised to remove or manipulate our emotional characteristics while retaining the same store of memories. What lessons then can we draw from Total Recall’s teaching concerning memory, if the technological scenario in the movie is, as it were, the inverse of the projects we are already engaged in? It is first of all worth noting that the movie has a largely happy ending — Quaid chooses justice and was able to successfully “free Mars” (as Kuato directed him to do) through resolute and spirited action made possible by the skills and dispositions he developed during his life as an agent of the oppressive Martian regime. Quaid’s siding with the revolutionaries over the Martian regime was motivated by the obvious injustice of that regime’s actions, and the natural emotional response of anger that such injustice instills in an impartial observer. But, as was noted in the discussion of memory-altering drugs after the film, realistic memory-altering drugs could disconnect our memories of unjust acts from the natural sense of guilt and anger that ought to accompany them. Going beyond memory-altering drugs, there are (somewhat) realistic proposals for drugs that could dull the natural sense of spiritedness and courage that might lead a person to stand up to perceived injustice. Taken together, these realistic proposals would render impossible precisely the scenario envisioned in Total Recall, with memory-altering drugs that alter the emotional character of actions dulling our sense of their justice or injustice, and other drugs that dull our capacity to develop those qualities of soul like spiritedness and courage that would enable us to respond to injustice. What science fiction can teach us about technology and human flourishing does not depend on its technical plausibility, but on how it draws out the connections truths about human nature and politics by putting them in unfamiliar settings. 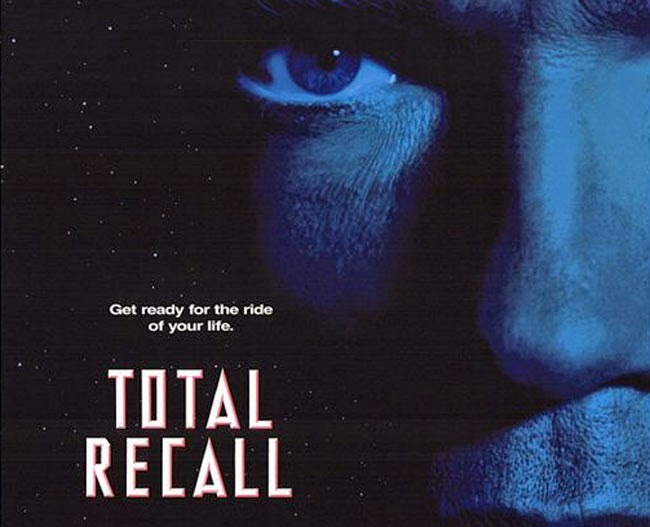 Notwithstanding Professor Fukuyama’s dismissal of the film, the moral seriousness with which Total Recall treats the issues of virtue and justice make it well worth viewing, and re-viewing for thoughtful critics of the project to engineer the human soul.